As always, my techniques are painfully simple, which is why I don't do standalone FOTD posts often (I don't find it very informative for my readers and I usually include them in my reviews anyway). 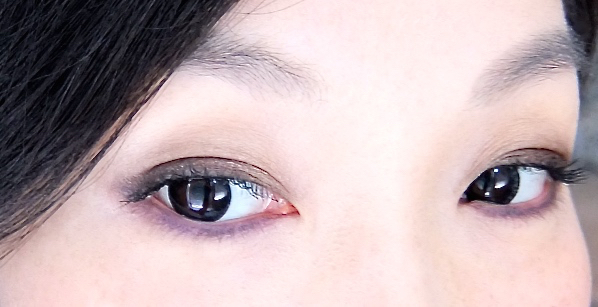 I filled my lid space with the Stila Kajal liner in Amethyst (it is a warm purple that blends in easily and makes a great base). I also used this lightly on my lower lash lines. Stila eyeshadow Barefoot Contessa (medium reddish brown with satin finish) was packed on over the kajal liner to add depths. Oasis (yellow tinged light shimmery beige) was used to blend the colors and soften the harsh edges. I tightlined with Marc Jacobs eye liner then finished off the look with L'Oreal Manga waterproof mascara. Rouge Bunny Rouge Gracilis is a mauve-y cool pink that balanced the whole look. It does have a bit of cool brown undertones, so it blends in nicely. I put on the lip gloss first then added the lipstick. This way it is not overly glossy and the color shows up better. 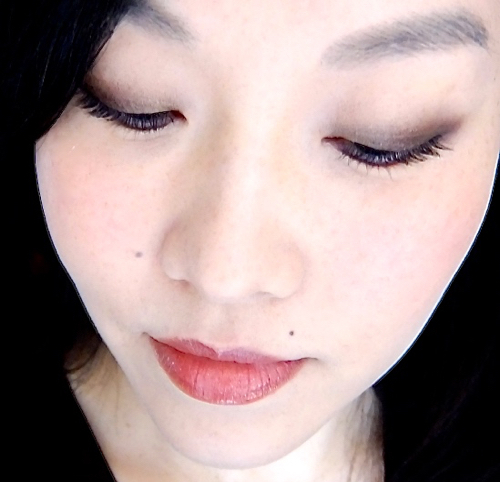 After trying this look, I must say I feel quite encouraged to wear warm colors more. Maybe it is the right kind of warm brown and the combination, but I wonder if it is my face that is inevitably changing as time goes by. But hey, as long as I am aware of the change and willing to experiment with new things, right? Have you recently tried different looks and colors that are slightly out of your comfort zone? Your perfect fair skin leaves me breathless, you are stunning! And this look is amazing! I think you can wear warm browns quite well! They're pretty on you! Love this look and yes! You should wear warm browns more often! ohmygosh! The look is beautiful - you wear warm browns so well! It always tend to age me, so I favour lighter colour lipsticks :) Maybe I'll this a shot over the weekend!! Yes, I think the "aging" thing is another downside of wearing wrong brown shades for me, too. It's a beautiful look, Lena. I also love how Black Honey looks brighter against your skin tone. Warm browns suit you so there's nothing to be weary of. Gorgeous! Black Honey looks redder if I apply the lip gloss first. Which is quite interesting! I find warm colors hard to wear if I wear all warm colors. It's easier to mix them on my cool skin with some cooler toned shades. 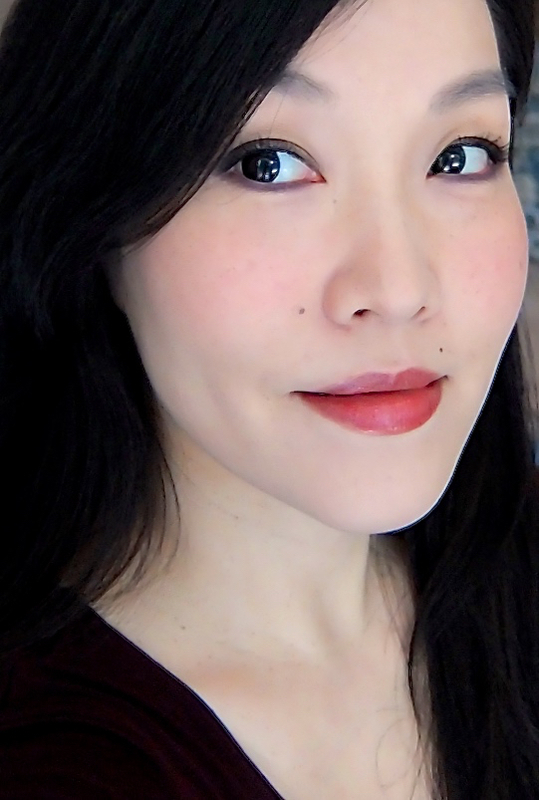 I usually opt for neutral lip undertones, warm cheeks, and cool/neutral shadows. Just like you (or the opposite), I'm trying to embrace coral and peach more. I also find pink with too much blue undertones look kind of aweful on me, which is interesting because I used to wear these like nobody's business. Oh this works well on you, Lena! I get your fear of reddish browns tho. They make me look ill! I think you can definitely pull off warmer shades as well as you can with cooler ones, so have fun experimenting! Reddish brown is a hard color to pull off for me as well. I have to get creative every time using it! That Stila Amethyst liner is gorgeous! It looks like a perfect shade for a soft, sultry eye look! I have two stila kajal pencils and they are very good quality. So soft and pigmented that I wish they came in a chubbier stick. These look absolutely stunning on you! You wear it so well. Your skin is just flawless! Nothing wrong with wearing glitter liners all year round! I enjoy using it near the lower lashes myself. 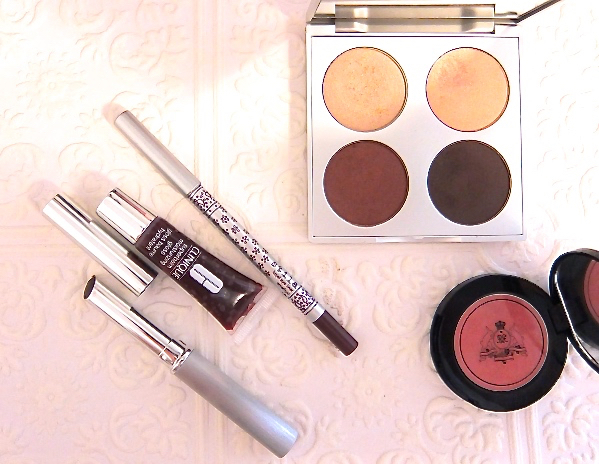 those stila kajal eyeliners are some of my very faves!! although i don't have your color and need to pick up for myself!! i've been trying to really step out of the box with my makeup these days now that hopefully spring is on the rise - so that means color color color!! love your look here. They are so nice, right? I really like the soft even texture. I wish they were chubbier, though. It would be much easier to use it all over base. I totally felt the same way about warm browns and reds, but I think I'm starting to love them lately, too. Funny how our tastes change! And I am glad to hear about your own adventure with reddish brown color. I hear the MAC shade is quite beautiful yet requires certain blending skill and color pairings.